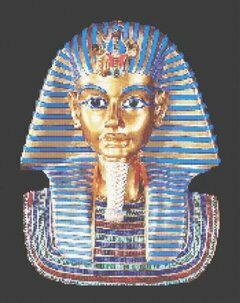 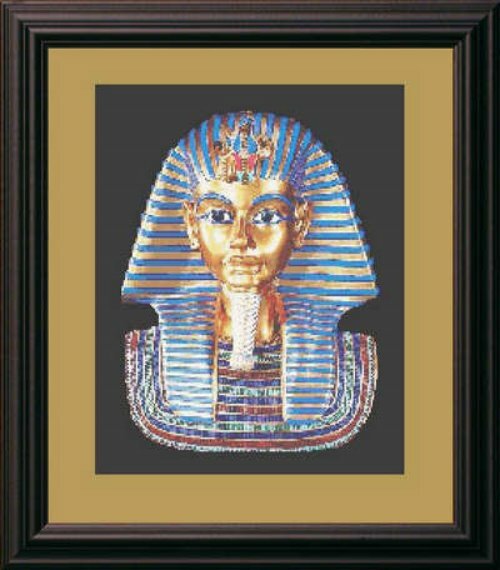 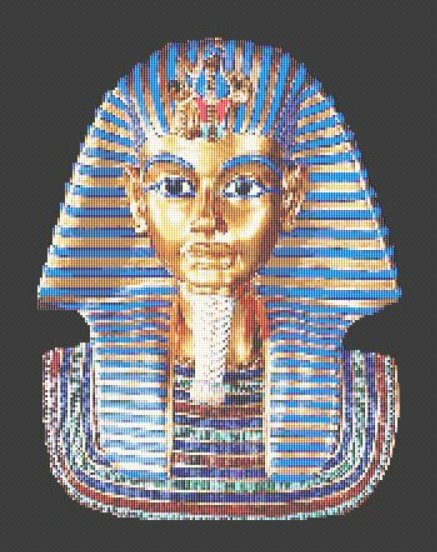 This cross stitch pattern design features the gold mask of King Tutanhamun of Egypt, now housed in the Egyptian Museum of Cairo. 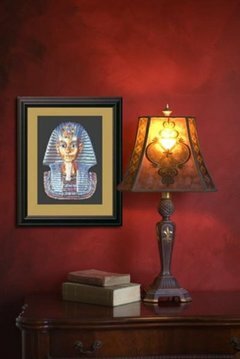 This is a counted cross stitch pattern, professionally created by Jiffy Pattern Shop. 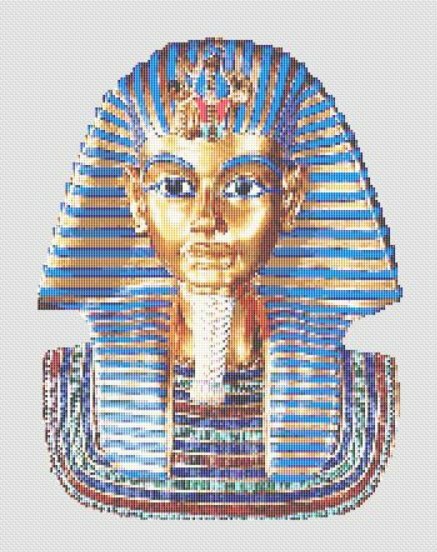 It is a wonderfully detailed design that uses 54 floss colors. For 14 holes per inch, finished size will be 10.4" x 13.8".